Published July 31, 2018 by admin. Do you suffer from tired eyes, dark circles or crepey, dehydrated eyelid skin? Many of the women that come in to see us for a skin consultation say that it is around the eyes that concern them the most. Some patients presenting with dark circles or a loss of volume in the area below the eye have thin, sun damaged eyelid skin, rather than a deep volume loss. At Elan Medical Skin Clinic, we often recommend a course of Eye Booster Treatments, to hydra rejuvenate the thin eyelid skin, which pumps the lower eyelid to improve the apparent ‘tear trough’. An eye booster treatment helps to rejuvenate the thin lower eyelid skin, which can worsen the illusion of under-eye shadows. Tear Trough Fillers. What to expect…. The tear trough is the area between your cheek and lower eyelid. As we age, we lose volume in this area, sometimes causing under-eye dark circles to appear. An effective tear trough treatment, performed by highly skilled doctors and nurses, can restore the lost volume, reducing the appearance of dark circles. The injections are usually painless, after suitable topical anaesthesia for 15 minutes. 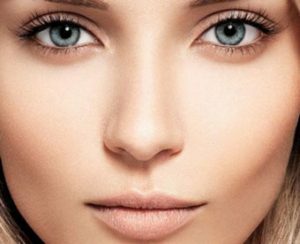 When treating the skin under the eyes, tiny amounts of filler are injected using a very fine needle or cannula. It is normal for the eyes to look swollen and bruised for 3-7 following treatment, but we can recommend products that can cover this up and most people are able to resume their daily routine straight away. The full results of treatment can be seen over 1-4 weeks following treatment. As the fillers we use are bio-degradable, the fillers will break down over time, which means that repeat treatments are normally required every 6-12 months. If you would like to ask our Medical Director & Nurse Consultant, Sue Ibrahim a message, by all means do. We provide a responsive service that aims to set your mind at ease and ensure you are fully informed before booking your consultation. At Elan Medical Skin Clinic in Essex, all new patients receive a thorough consultation and medical assessment prior to treatment. You can either give Elan Medical Skin Clinic a call on 01268 770660 between 9.30am and 5pm Monday to Saturday or you can click here to book and pay for your consultations via our online store. One of our reception team will then confirm your appointment by phone or email, whichever you prefer.